A newly discovered psychological disorder classified under anxiety disorders-phobias is called literalgenesisphobia. This phobia is the intense fear that literal creationists are right and there is a God after all. This psychological disorder is rare phobia, but it is commonly seen in militant atheists and ardent adherents to the evolution paradigm. 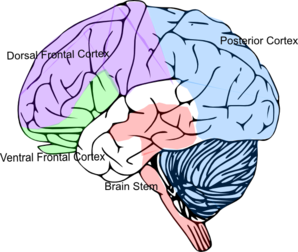 Brain scans have shown the lack of development in the critical thinking areas of the brain which, when compared to creationists brain scans, is seen to be underdeveloped and smaller than creationists. That is, the brain tissue that is used in the function of critical thinking which can be measure physically is smaller (therefore underused) in atheists, atheopaths and ardent evolutionists compared to the brains of creationists. Current research into this psychological disorder shows lack of social skills. They also exhibit inability to debate and present data empirically and coherently, resulting in maladaptive behaviours towards those they fear. These maladaptive behaviours include (but not limited to): ad hominen attacks, equivocation, stalking (in the severe spectrum), name calling, inability to coherently present empirical data in an orderly fashion, present real evidence, engage in the actual argument presented, elephant hurling (clinically known as overwhelming the opposition with various information that cannot be answered in a set time or setting), lying, exaggerating, delusions of grandeur, "just so" storytelling, aggression (seen most often in the severe spectrum), threatening or intimidating behaviour (severe spectrum), using the legal system to silence opposition (severe spectrum) and finally (also in the severe spectrum) quenching freedom of speech and forcing the loss of creationist's job and or credibility. Current treatment: it has been noted in current research that literalgenesisphobia is resistant to existing treatments although there have been successful recoveries from this debilitating psychological disorder as seen in numerous case studies. Researchers are persisting in medication to control anxiety in the suffer along with cognitive, behaviour and social skills therapy to correct the maladaptive behaviours in resistant patients. It has been suggested that those suffering the resistant form of this psychological disorder be given the amnesia treatment followed by re-education therapy. However, this was deemed unethical by the Board, and researchers are continuing with tried and proven methods of treatment. There are some famous people who suffer from this debilitating disorder, including Stephen Hawkings, Richard Dawkins, Bill Nye, and others. By highlighting that this condition strikes even those who are highly educated, we can break the stigma of this debilitating disorder, and sufferers of literalgenesisphobia may be more willing to seek help. Give generously to the biblical creation science ministry of your choice. All donations specified will be used in the research to combat this disorder and help the individuals recover as well as the promotion of treatments for this disorder! And that's how you make up a psychological disorder in 10 minutes! Raven was making a point with satire, and has the vocabulary, what with being a student studying social psychology and all. (I did only minor editing.) In addition, it seems that many "conditions" in psychological parlance are simply made up, and labeling people only makes things worse.. The condition Raven described is an eerily accurate description of a corral-full of anti-creationists and atheopath trolls on teh interwebs. When reading their rants in forums, comments on social media, and the like, many appear to exhibit not only hate and rage, but fear that science does not support their worldviews. (I hope Raven contributes again — or will I be told, "Nevermore"?) There have been several times when manipulative atheopaths will try to "diagnose" someone in an effort to provoke. For instance, you point out a logical fallacy and are told, "You're projecting! ", or, pointing out their dishonesty and incompetence lassos you the label of "pathological liar" (when offered without evidence of intent to deceive makes the accuser into the liar). Notice that they play the "victim card". Aren't people like that practicing psychology without a license? You may want to see my article on my "attitude blog" about how many atheopaths display some serious disorders, especially the narcissistic sociopath, and studies on atheism and autism, as well as "Evolution, Psychology and Shots in the Dark". I couldn't wait until April 1 to post the top part of this, maybe someone can come up with a phobia for that as well.